This is not a hydropneumothorax. 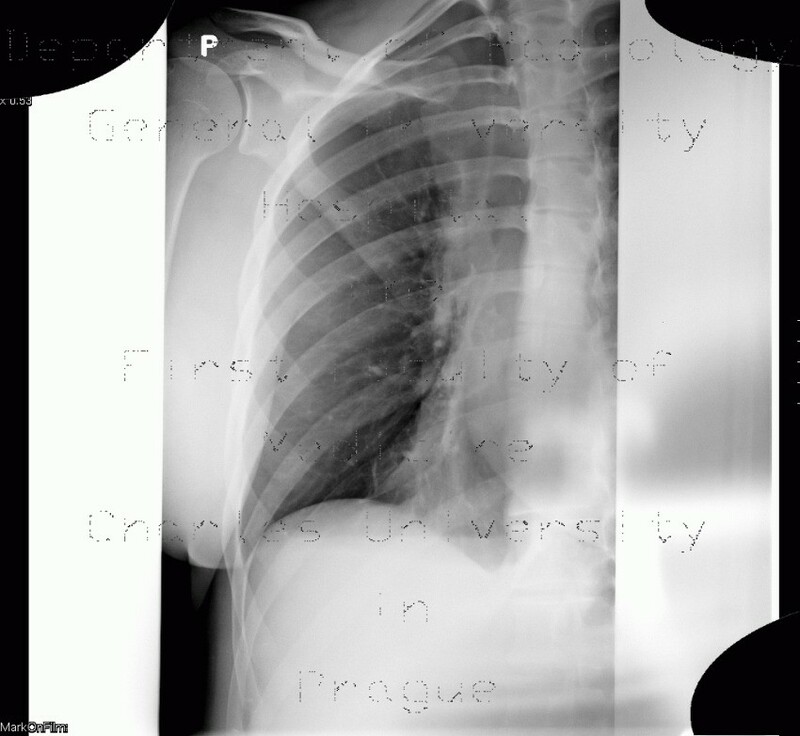 There is a horisontal line projecting onto the right diaphraghm, which may mimic a hydropneumothorax. A centered view shows confirms, that there is no air-fluid level present.